Since the reveal trailer, some new properties have been unveiled for the next wave of Lego Dimensions which are as follows: Beetlejuice, Powerpuff Girls, Knight Rider, Lego City Undercover and the Lego Batman Movie. There will be a new designation this time around called “Story Pack” which will come at a higher price point, around $49.99 USD, and will have a much longer campaign than the standard level pack. 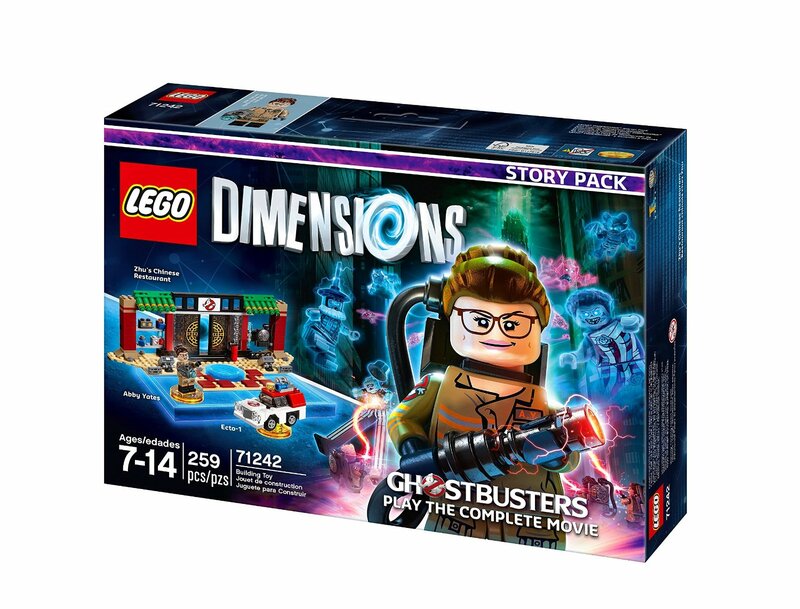 The first of these will be based on Ghostbusters (2016) and on top of a longer level, there will also be a new build for the base that came with the original Lego Dimensions. It should also be stated that all the announced properties today will be compatible with the first base as well as game, so there’s no expensive Lego Dimensions 2 you have to pick up. The new characters will come with gold bases, like the Green Arrow and Supergirl figures that have been circulating, that will unlock Battle Arenas which will allow up to four players to compete in games like capture the flag. Story Packs will bring a new mode to the toy pad called “Rip” where players can open a mirror world to the one they’re in where interactions in that parallel world affect the main one. These new properties will be stretched out between 2016-2017 and will start rolling out on September 27th of this year. 06/09/2016 in DC, News. Tags: A-Team, Adventure Time, DC, DC Comics, E.T, Fantastic Beasts and Where to Fine Them, Ghostbusters, Goonies, Gremlins, Harry Potter, Lego, Lego Dimensions, Mission: Impossible, News, Sonic the Hedgehog, Teen Titans GO!